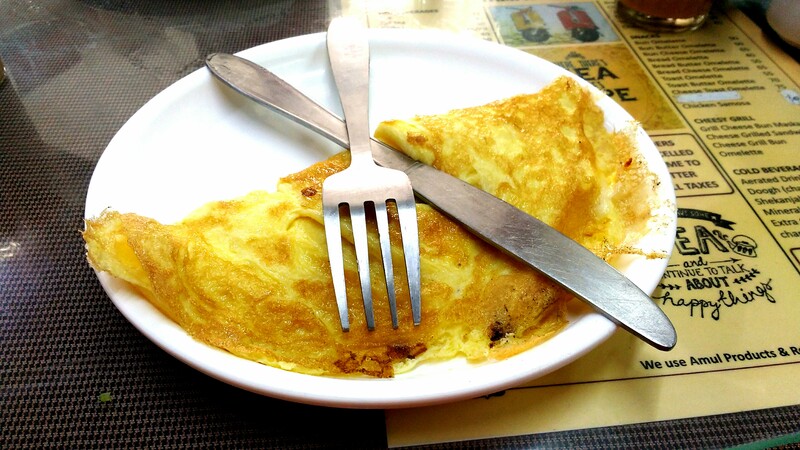 Chef’s Log 68: Iraneat | The Spoon From Outer Space. A few days ago, as I was on one of my regular walks observing the amusingly primitive infrastructure that Earthlings use for transport and residence (it is often the highlight of my day), I chanced upon a quaint little café on a street in Viman Nagar. Boldly advertised as an Irani Café, the tiny restaurant had an air of comfort and warmth. If I didn’t know better, I would have assumed that it had been situated in that very location for decades rather than months. Sadly, I am not very familiar with Irani food, so I can only guess at the café’s authenticity. The food was simple, but it was indulgent, and how. 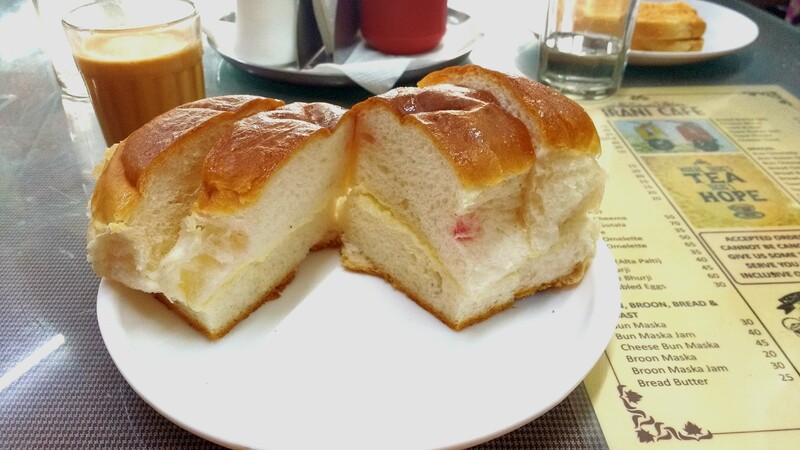 I tried the cheese omelette, which was simply oozing with cheesy goodness, and the ‘bun maska’, which was slathered with copious amounts of butter. Of course the meal could not have been complete without a refreshing glass of chai to cut the richness. I had the distinct impression that this restaurant is always crowded and bustling. And although the menu is fairly limited, the café has already developed what some places take years or even decades to achieve: a sense of character. The best part about this place of course, is the prices! Every single item on the menu is less than Rs. 100. Now that’s my kind of breakfast joint.